Take the best of your visit to Lisbon and enjoy this 8 hour Private Tour where you will visit one of the nicest natural parks of whole Portugal, the Arrabida Natural Park, in your private luxury car, with your private driver and private tour guide. Take this opportunity to get to know this fantastic area, and its surroundings, visiting places like Sesimbra, Setubal and many more in your private luxury vehicle, with a private driver and private tour guide, who will show you the area and tell you the secrets and history of this wonderful region. Enjoy this private 8 hour tour, take the best of your time in Portugal, and visit Arrabida Natural Park and its surroundings, which offers some of the nicest landscapes in the whole country. We will pick you up from your hotel or place of choice in Lisbon, and you will enjoy a 8 hour tour where you will get to know fantastic fishing villages, emblematic monuments, stunning beaches and many more! Arrabida Natural Park is located only 1 hour away from the center of Lisbon. Your private driver, together with your private tour guide, will pick you in your hotel or place of choice in Lisbon, in your private luxury vehicle, and start driving towards south. You will exit Lisbon through the 25 de Abril bridge, which offers magnificent views from the city. The first place you will visit will be the Cabo de Espichel. This place is located in the southwest point of the area, and it offers very nice landscapes, very rough, where you will be able to appreciate the force of the nature, where the strong waves from the atlantic ocean clash against the cliffs of the area. After enjoying this magnificent landscape, you will continue your tour in direction to Sesimbra. Sesimbra is the most touristic village of the Arrabida area. It has roman vestiges and it has been reconquered by Portugal from the moors. You will visit a Castle from the XIIth Century, which was known as the Castle of the Moors. Sesimbra is mostly known as a fishing village, so it has a very traditional port, which you will visit, as well as the stunning beaches next to the city. Sesimbra has a very good gastronomy, which its specialized mostly, of course, in fish. The next stop after Sesimbra is going to be a wine cellar in between Sesimbra and the Arrabida Natural Park. You will enjoy a guided visit through Jose Maria Da Fonseca cellar, which will end with a wine tasting of local wines, like ´Piriquita´and the ´Moscatel de Setúbal´. You will then go to the main attraction of this area, the Arrábida Natural Park. Located next to the sea, between Setúbal and the fishing town of Sesimbra, Arrábida Natural Park offers a stunning natural beauty, where the blue of the sea alternates with the white tones of the chalk cliffs and the depths of the green vegetation that covers the mountain range. Inside of the Natural Park, on the south side of the mountain, you will visit the Convent Nossa Senhora do Arrábida. This convent was founded by the franciscans in the year 1542, it has been always a place for spiritual retirement, where you can enjoy a very peaceful environment and amazing views of the Arrábida bay. You will then visit Setubal, which is located in the east of the Natural Park. You will visit the Fort of Sao Filipe, a 14th Century fort, which has been created for controlling the entrance to the port of Setubal. Your private tour guide will tell you the history and secrets of all this magnific area. Finally you will visit the Castle of Palmela, another fantastic place located in Setubal where you can enjoy a 360 view of the area, which in very clear days, allows you to see Lisbon. You will start your trip back to Lisbon after getting to know Setubal. On your way back to Lisbon you will drive through the Vasco Da Gama bridge, which has a length of 17.2 km, and it offers a whole different view of Lisbon. 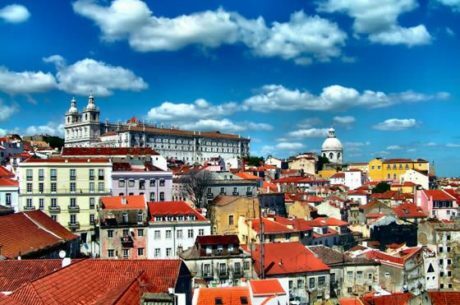 Your private driver and your private tour guide will take you back to your hotel or place of choice in Lisbon after you enjoyed this tailor made 8 hour tour. As said, it is possible to organize the tour regarding your own interest and likes. We can arrange the exact duration of the experience to fit your own needs. We have suggested 8 hours, if you would like a shorter or longer experience, don’t hesitate in asking us. This is a tailor made experience, we can always adjust it to your own interest.